Edamame pods are easily found in the frozen vegetable section. Bring a large pot of slightly salted water to the boil. Cook frozen edamame for approx. 5 minutes, or until tender. Drain well. In a wok or skillet, heat olive oil and sauté chilli and garlic until lightly brown. 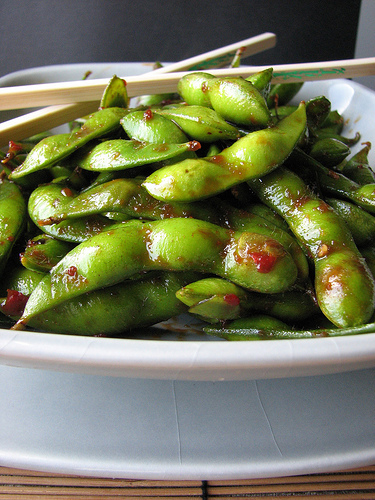 Stir in the edamame plus lime juice, tamari, and sesame oil and serve immediately.